Tips to Find the Best LBD for Your Body Shape is my most popular blog post to date! I believe it's because the suggestions I made are practical enough to understand and achieve. Take a look at the suggestions I made for the other three body shapes in the original post, which I've linked, to see what you may want to consider when shopping for the perfect dress. As a side note: The tips can be applied to all dresses, not just the LBD! Dresses not quite your thing? Well, jumpsuits can be just as versatile and appropriate in much of the same contexts as the classic LBD, including a NYE celebration! 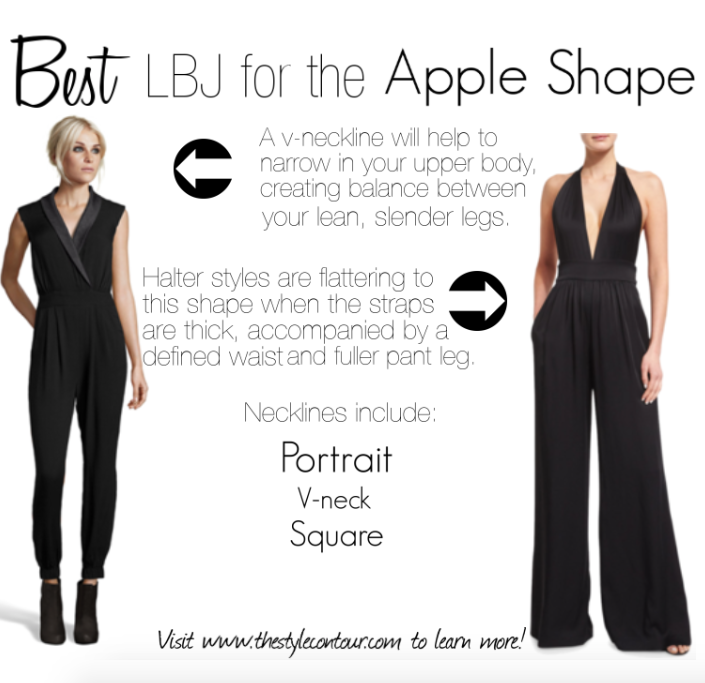 Since it's a one piece that's divided into sections, there are a few things you may want to consider to ensure a flattering fit on both the top and bottom, all of which I discussed in my Jump Start Your Style with the Perfect Little Black Jumpsuit (LBJ) post. Tis the season of metallics, it's almost synonymous with New Years, isn't it? In my Know the Basics of Metallics: Learn Which One Works Best for Your Skin Tone!, post I not only explain how to determine your skin tone, but I also provide suggestions based on your undertones for the metallic(s) that would be the most flattering for you, providing that natural and effortless glow we all crave, especially during the winter months and when ushering in the new year, duh! 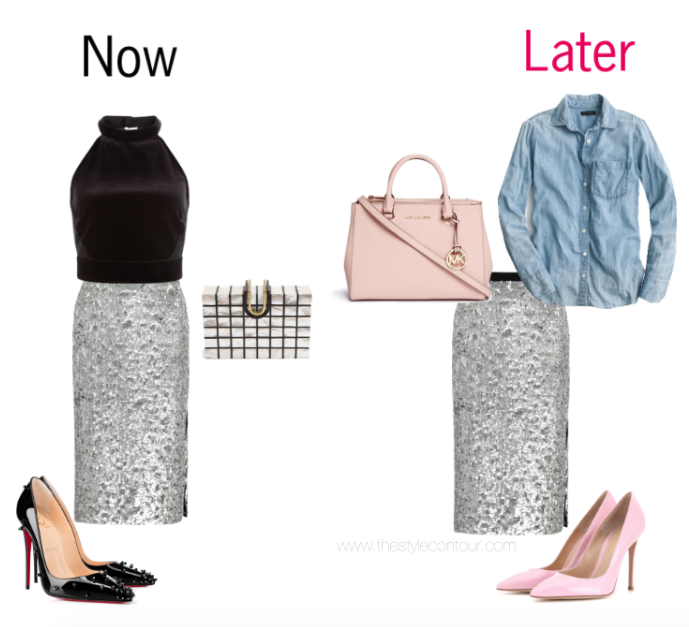 Lastly, in my How to Style Sequins Now & Later post, I provide three visual examples (consisting of six outfits) featuring a sequin number that you can wear on NYE and later. Many of us will reserve our sequin or metallic pieces just for this season, but we can certainly get more use out of them all year long! I hope you found this post helpful in putting together your perfect NYE outfit and working with those pieces well after the celebrations are over! Thanks so much for stopping by my gorgeous friends and I hope you're having a great week so far!